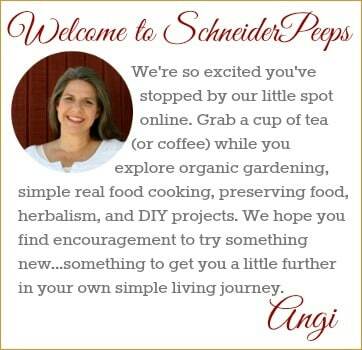 Home » Rethinking our fencing situation…and a giveaway! Meet Buddy and Bandit. They’re brothers. I don’t think I’ve officially introduced them to you but we got them as puppies last July. We were still mourning the loss of Rascal whom we had for 8 years. We were briefly visited by a stray that my children named Biscuit but as with most strays he didn’t stay around long. Sometimes sharing things online is difficult and no one wants to here that we have puppies, oh something happened and now we don’t….yada, yada, yada. So, I’ve waited. These puppies, really teenage dogs, are so fun and sweet – but also very, very naughty. They remind me in so many ways of children. They come running when you go outside, they play and wrestle each other and they let Esther ride them. 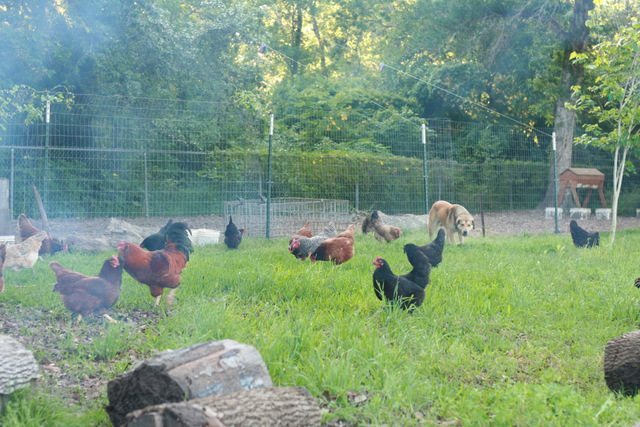 But they also run to the fence (chain link) and mark their territory whenever the neighbors’ dogs come outside, they like to chase the chickens and they have sneaked into to the hen house and eaten eggs. Naughty, I tell you, very naughty. We’ve been talking about what do to with this naughtiness. Some of it is just funny….like the marking the fence. But chasing chickens and eating eggs is unacceptable naughtiness. The hens are now staying in their run unless someone is outside. The dogs don’t chase them when someone is out there…kind of like children, yes? For the egg eating we think we are going to re-install our diy electric fence around the chicken house and yard. We have used this system with our previous dogs in various houses over the last 20 years. It’s really easy to install and inexpensive. While this type of fence is great for keeping your dogs away from your livestock, there are other reasons to consider an invisible dog fencing. You have a large property. Sometimes with a large property you still want your dog to be close to home. Using an in ground fence allows to keep your dog close to home without putting up a traditional fence around your home. Or you want your dog to stay away from certain areas…like the hen house or the garden. You’re renting a place with no fence. Most landlords won’t put up a fence for a tenant’s dog. But most will allow the tenant to install an in ground fence. The beauty of it, is that when you move you can easily take it with you. Your dogs really like to escape your traditional fencing. We had a dog named Bob for 16 years. We should have named him Houdini. He could escape any fencing, until we got the in ground fence. So we installed the in ground fence a few feet away from our regular fence. It worked great! You travel with your dog. If you travel with your dog a great idea is to use a wireless dog fence. You’ll need to use it at home and do a little training before you travel. It’s a great solution for keeping your dog safe and to also be neighborly while traveling with your dog. One thing to remember when using this kind of fencing is that it is for your dog. 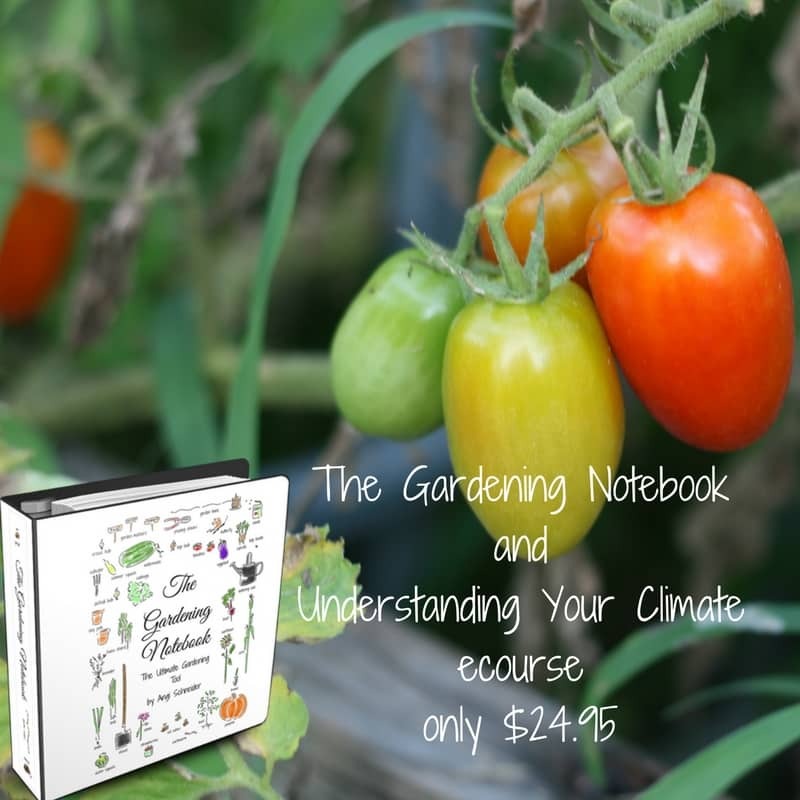 It won’t keep a predator out of your hen house or your neighbors dog out of your garden. It won’t keep a stray from coming onto your property. It’s about keeping your dog where he is safe and won’t cause harm to others. There are many options when it comes to invisible fences and you can read some great reviews at Dog Fence DIY. Dog Fence DIY is sponsoring this post and is also sponsoring a $25 Amazon Gift Card giveaway just for us. Your new pups are pretty cute! Are they an Aussie cross? We also have a new pup who is almost 6 months old. To answer your question about what to do with misbehaving puppies, I would say our biggest help is consistency and never assuming the dog will behave itself 😉 We have had to make sure that our pup is never allowed to get away with anything even once, even if we are tired or busy. And also, we try to keep her from being in situations where she could cause trouble. Like being in the house alone or in an area outside where the kids toys are by herself. We don’t have livestock now so I am not sure how that will go once we are back where we can have our goats and chickens. While at my parents house I did let our pup get a little exposure to some “experienced” ewes so she could learn to respect livestock. But if the kids let her out the door by accident I did notice she wanted to run after the lambs because they were running anyway. Gosh, puppies are about as children aren’t they! Good luck with your pups, especially two together, lol! They are just mutts…but super cute ones. One has purple spots on his tongue so I’m assuming they have some chow somewhere down the line. I love, “never assuming the dog will behave itself”! Lots of training… Lots and lots! I had two that wouldn’t leave the property with out a fence. Not even to chase another animal. And wouldn’t let anyone on either. They also would not come in the kitchen. They would stop right at the edge and lay down but never cross the lines. The electronic fence is a good idea. Hope it works for your pups! We had to have a big family discussion about getting new dogs. We have a lot of feral cats in our area and need a dog but I knew it would take a lot of time. Fortunately, my kids are older so they have been really great with working with them. Maybe you can find an LGD that is already trained….we can hope, right? I don’t have a dog, but I have a cat and when she’s naughty I put her in her room. We first try to determine if we can rearrange or change or remove anything that will just eliminate the behavior (like not leaving shoes where a dog who likes to chew can get to them, etc.) Beyond that, we aren’t very good disciplinarians! Thankfully we haven’t had to deal with any really bad behavior. We have a Lab and 2 Yorkies. This is exactly us. We try but goodness, most of our disciplinary energy goes into our kids. Well when I had dogs they were okay in the fence. When they seen a dog they would want to get out of the fence. I lost both my dogs 6 months apart. It is so hard to get another dog yet but I will I love dogs. I’m so sorry Tammy. It is hard. It took us quite a while before we were ready to get new dogs. You’ll know when you’re ready. Sounds good, but I’m told it can’t be used for some dogs. Do you know which dogs do not tolerate it? Any dog with a prey drive. Mostly hounds. Say they see a bunny, their drive to chase overwhelms them and they pass right through the ‘invisible fence. 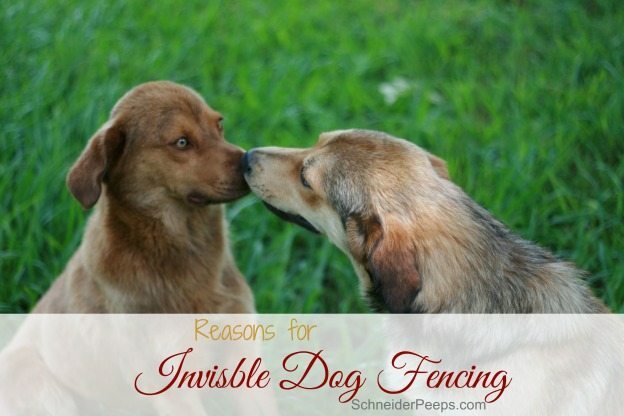 Absolutely, the invisible fence isn’t right for every breed or every owner. 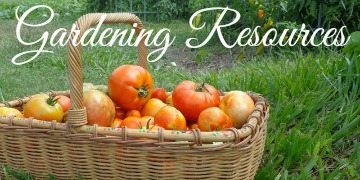 Here are some things to consider, http://www.dogfencediy.com/main/right-for-you/. Also, if your dog is bred for hunting, I personally wouldn’t trust just an invisible fence to keep it away from livestock. make the right things easy and the wrong things difficult. 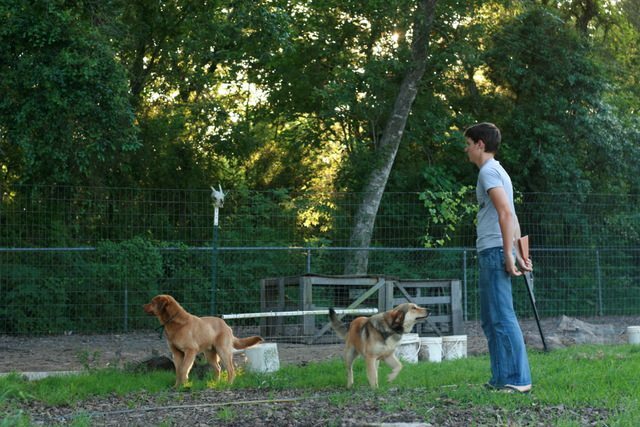 dogs do not respond well to punishment…this fosters lack of trust in you as their compassionate alpha leader. i see naughty behavior as my fault, not their’s…meaning, i did not foresee the problem and failed to train sufficiently. positive reinforcement is the only way to go…clicker training techniques work like magic. mostly i ignore the first transgression and figure out a very ingenious way to train an alternate behavior so that the dog will prefer to do the right thing and forget all about the wrong thing. a wonderful challenge for the human brain…you have to acknowledge that coming up with a solution may take a few tries til you all get it right. and especially…become very knowledgeable about what behavior is hard wired in a dog. do not expect the impossible. We put up a traditional fence and it was the best thing we ever did for our dog, Leo. He is super happy to run where he wants when he wants. That’s awesome. With our fist dog, he just would not stay inside a traditional fence. He was a dachshund mix and would dig under and sneak out. I spend a lot of time on the front end with my dogs, and let them know by my disapproval that I mean what I say. Both behavioral modification and positive reinforcement, with lots of follow through and lots of exercise and attention. I just look at her like I am not happy! We are adopting next month, so we do not have a dog at this moment. That being said I used just tell my dog it was wrong and ignore her for a few minutes and try to train her, i found a lot of the naughtiness was from her just still learning. We almost never had issues with her, she was a japanese akita but very sweet and tame. That’s what I think most of Bandit and Buddy’s naughtiness is. Even though they look full grown, they are really still puppies and learning. Naughty dogs I think should have a time out place without stimulus or reward. We don’t have a dog yet, we’re getting a puppy in July so I don’t know yet how we’ll train our dog. I’ll have to do some research but I hope something like positive reinforcement. My Spike is my old man at 15 years old. His naughtiness is barking excessively and so I have to use the squirt gun to stop him. A little water and he finally will stop. He’s mostly deaf, too. I don’t know how else to handle the excessive barking otherwise. I am afraid people will complain in the apt complex. I bet that works just fine. Disciplining old dogs is really hard. Our first dog was with us for 16 years and in the latter years we just accepted a certain level of naughtiness. It depends on what he’s doing. I got him to stay off the couch with a spray bottle of water mixed with a little vinegar. I potty trained him with loads of communication and outside time.